place in the recovery community and experience what life in recovery can truly be like. New Origins is not your average treatment center. There are no fancy pictures or promises made to lure you in. We prefer to let our work and your experience speak for itself. When you're ready, come in and together we can take your new life to an entirely new level. With personal and professional experience in substance use disorder treatment, we know what struggles lie ahead and will be there every step of the way to help and support you. From group sessions and educational sessions to individual sessions and person centered treatment planning, our goal is your success, making sure you find a new way to live. We work with you to assess and implement a plan of action conducive to lasting recovery! We work with you to find your path, which leads you toward a sense of purpose and meaning! We work with you to support and empower a safe transition to the life you truly deserve! Hello, My name is Ron and I am an addict in recovery! I am a Southern California native who can personally say the disease of addiction has had a dramatic impact on my life and the lives of those close to me. Fortunately, I was rescued from the depths of my disease and given an opportunity to be a part of something that would dramatically change me in ways I never knew possible. As a result of my own struggles I felt a personal obligation to become a part of the solution rather than maintaining consistency as part of the problem. In conjunction with my personal journey of recovery I returned to school in an effort to be the most efficient and effective instrument of change I could be. As a result I currently hold a MS in Psychology, am licensed as an LAADC, and am a newly appointed adjunct professor at San Bernardino Valley College . I have a passion for working with addicts and alcoholics and absolutely love what I do. As a clinician I specialize in Substance Use Disorders with co-occurring disorders. My philosophy is to see the good, seek to understand, and to have unconditional positive regard. I guide clients to see their best selves and have the skills to maintain their core values in all aspect of their lives.  As a co-founder of New Origins my personal dream and goal was to provide a different environment for treatment; treating with respect and compassion, individualized to need, and promoting healthy balanced living. I am honored to have partnered with Ron to provide person-centered treatment, teach application of skills, and to invite our clients into the New Origins Family and learn how to live. Being a part of New Origins has made a positive impact in my life, and has made me believe in myself. It’s a place I looked forward to attending. The staff has truly extended their hands out to me to help me through my drug addiction. I continued to learn tools that help me work through my daily struggles with my addiction. There is no other place I’d rather be. "When the pain of remaining the same becomes greater than our fear of change we will surely let go"